HR - Director, Lafarge Cement (Zimbabwe) Ltd. 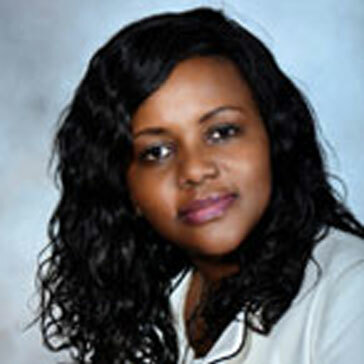 Precious Murena â€" Human Resources Director for LafargeHolcim in Zimbabwe. She holds a BscHonours degree in Psychology from the University of Zimbabwe, A Masters in Business Administration from the University of Zimbabwe and a Diploma in Personnel Management from the Institute of People Management in Zimbabwe (IPMZ). She is a leader not only in LafargeHolcim where she is employed but her leadership broadens to the wider Cementindustry and further extendsto leadership at National level.At Cement Industry level Precious sits on the Executive Committee of The National Employment Council for Cement & Lime companies in Zimbabwe driving industry Collective Bargaining.At National level she is a board member of The Marketers Association of Zimbabwe leading the HR Committee on the board. Again at National level Precious Murena is the Vice President for The Institute of People Managementin Zimbabwe (IPMZ) .Away from work Precious does voluntary leadership development work mentoring College Students under the BOOST fellowship program facilitated by Enactus Zimbabwe. Precious has received various business Awards which include theMegafest TOP 20 Outstanding Women in Business in Zimbabwe award for 2014 and again for 2015 .During her tenure as Human Resources Director at lafargeHolcim the company has exceled significantly in enhancing the workplace environment for its employees focusing on Health &Safety, People Development and Diversity &Inclusion . In recognition of this the company has received the Africa Best Employer Brand award for 2014 from the Employer Branding Institute in Mauritius and again received the same award on the 8th of December 2015 at the World Sustainability Congress in Mauritius.